First Grade Teacher Blogs List. The Best First Grade Teacher blogs from thousands of top Education Blogs and First Grade Teacher blogs in our index using search and social metrics. Data will be refreshed once a week. 2.19 1st Grade Hip Hip Hooray! 2.26 Thank God It's First Grade! First Grade Teacher newsletter is a comprehensive summary of the day's most important blog posts and news articles from the best First Grade Teacher websites on the web, and delivered to your email inbox each morning. To subscribe, simply provide us with your email address. About Blog A first grade Teaching Blog by Jodi Southard. Facebook fans 45,704. Twitter followers n/a. About Blog Lucky to Be in First is Molly Lynch's classroom blog! Swing on by the blog to find out what she has this month! Facebook fans 10,517. Twitter followers 124. Florida About Blog Mrs. Jump's Class Blog provides creative, kid-friendly activities and lessons based on common core standards that inspire teachers and parents. Facebook fans 41,050. Twitter followers 9,326. About Blog 11 years experience teaching 1st grade. Teaching is the best job in the world! Facebook fans 12,432. Twitter followers n/a. About Blog Odds and ends from a First Grade classroom and more...including teacher tips, activities, and downloads! Facebook fans 4,771. Twitter followers 82. Facebook fans 31,639. Twitter followers 4,623. About Blog An inspirational and resourceful website for first grade teachers. Facebook fans 37,607. Twitter followers 25. Austin, TX About Blog A Day In First Grade is an elementary education blog that shares our day to day activities, projects, and lots of great educational tools and resources! Facebook fans 12,117. Twitter followers 305. Door County , WI About Blog Mrs. Meacham’s Classroom Snapshots is a web site dedicated to providing teachers of primary-aged students with resources and ideas. Facebook fans 693. Twitter followers 2,024. Victoria, B.C. About Blog A blog about first grade learning resources and graphic art. Facebook fans 1,130. Twitter followers 182. About Blog A place where Katie King shares her successes, failures, and general observations in her First Grade Jungle. Facebook fans 24,244. Twitter followers n/a. About Blog Kindergarten and first grade teachers from Oregon who love sharing their ideas. Facebook fans 166. Twitter followers 20. About Blog A blog about teaching first grade. Flying Through This Journey as Teachers, Moms, and Best Friends. Facebook fans 19,289. Twitter followers n/a. Trinidad About Blog A Teacher's Idea is the place for getting ideas on anything teaching related from Kindergarten to Grade 6. Facebook fans 5,778. Twitter followers 837. About Blog First Grade Buddies is a collaborative blog where two teaching friends share about adventures in 1st grade! They've got lots of great ideas, activities and freebies on our blog! Facebook fans 3,968. Twitter followers n/a. About Blog This is a primary blog with ideas for teaching grades kindergarten, first, second and third grade. 19. 1st Grade Hip Hip Hooray! About Blog Educational ideas to promote enthusiasm and engagement in the classroom! About Blog The purpose of this page is to highlight her blog and TPT store and provide resources for first grade teachers. Facebook fans 7,968. Twitter followers 1,354. About Blog Classroom tips, teaching ideas, & resources for the first grade classroom. Facebook fans 667. Twitter followers 2,144. About Blog Join my on my journey in my First Grade Classroom! Come on by for a visit because there's always something fun happening in Firstieland! Facebook fans 1,468. Twitter followers n/a. About Blog A first grade teaching blog by Mona. She is a first grade teacher who thoroughly enjoys teaching and learning. She loves sharing ideas with other teachers. Facebook fans 3,138. Twitter followers 266. About Blog First grade teacher, blogger and creator of primary resources! Facebook fans 1,592. Twitter followers 142. About Blog A blog by Cara Carroll engaging and effective activities to use in primary classroom and sharing those ideas on little blogs. Facebook fans 31,181. Twitter followers n/a. 26. Thank God It's First Grade! About Blog Teaching resources, tips and activities for a first grade classrooms! Facebook fans 13,707. Twitter followers n/a. Portland, OR About Blog A first grade blog for teachers by Sarah. Facebook fans 6,027. Twitter followers 88. About Blog A first grade teacher in the great state of Texas. Facebook fans n/a. Twitter followers 521. About Blog A first grade blog that offers lots of lesson plans, classroom ideas, and freebies! Facebook fans 2,568. Twitter followers n/a. About Blog I love sharing tips and tricks for teaching first grade! You'll find tips and freebies for all things first grade...reading workshop, writing workshop, differentiated math and social-emotional development. Facebook fans 7,725. Twitter followers n/a. About Blog Rowdy in First Grade is a first grade blog dedicated to sharing ideas with other teachers. Facebook fans 3,896. Twitter followers 2,568. About Blog Renee Dooly is a first grade teacher who loves her job and sharing what she loves. She keeps this blog going to some extent, but can be found more often over at The Teacher Bag. Facebook fans 2,593. Twitter followers 308. 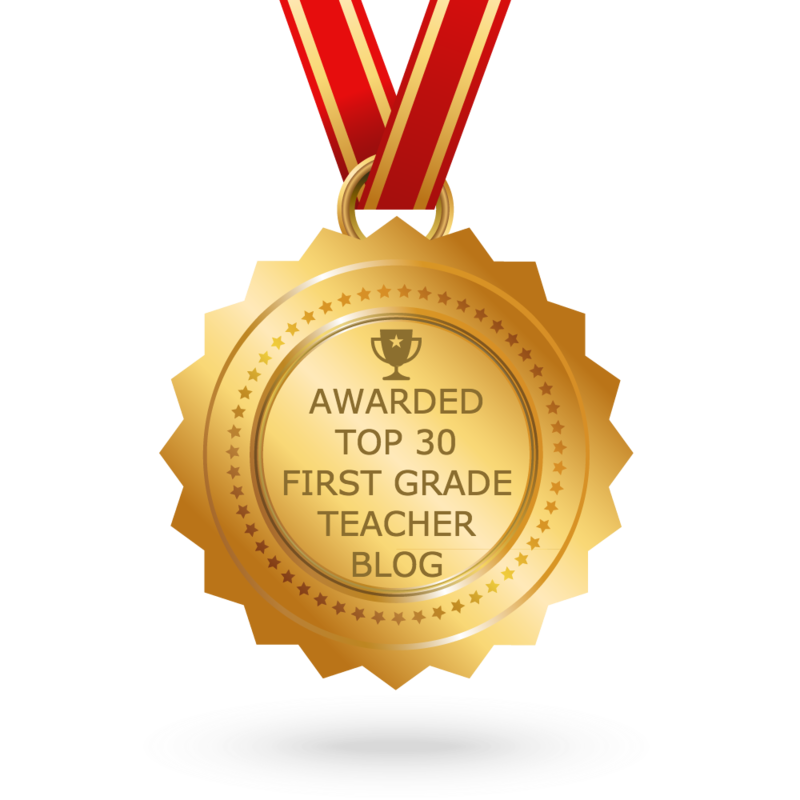 CONGRATULATIONS to every blogger that has made this Top First Grade Teacher Blogs list! This is the most comprehensive list of best First Grade Teacher blogs on the internet and I’m honoured to have you as part of this! I personally give you a high-five and want to thank you for your contribution to this world.